Available immediately are the AZBH10A4 and AZBD10A4 micro-sized analog plug-in brushless servo drives. These new models add Hall Velocity mode and Duty Cycle mode capabilities to the µZ series. Pronounced 'micro-Z' these plug-in drives are the smallest off-the-shelf servo drives from ADVANCED Motion Controls and are designed for embedded applications in a wide range of industries including: Robotics, Lab Automation, Homeland Security/Military, Electric Mobility, Medical and Packaging. These micro sized servo drives are designed to drive brushless and brushed DC motors at a high switching frequency. To increase system reliability and to reduce cabling costs, the drives are designed for direct integration into your PCB. Weighing in at just 9 grams, these drives output 10A peak and 5A continuous and operate with a bus voltage range of 10-36VDC. The new smaller and more powerful C-887.52 hexapod controller, just released by PI, makes hexapod 6-D positioning easy. 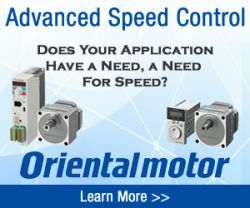 ADVANCED Motion Controls provides products for the fastest, most flexible form of industrial Ethernet control - EtherCAT. 05/28/15, 01:44 PM | Mobile & Service Robots , Factory Automation | motion control | Servo2Go.com Ltd.
05/14/15, 10:29 AM | Industrial Robotics, Factory Automation | Awards, motion control | Motion Controls Robotics, Inc.